Art Scholarships are as diverse as the artists who utilize them for higher education. Creating unique works requires training, and like other disciplines, art school tuition calls for a bankroll that is not always at hand. And art itself takes many forms, so there is no cookie-cutter approach to funding art education. Grants and loans serve students at all levels of study, and targeted creative awards address art students’ needs specifically. Financial aid success requires flexibility, and a top down approach that uses all available resources. General aid, from the Federal Government, provides art school funding. 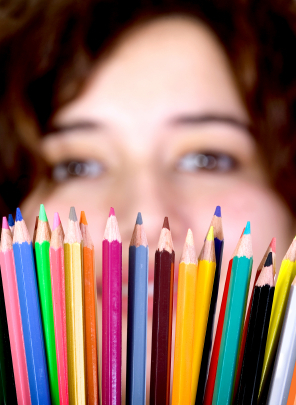 Pell Grants and Federal Direct Loans are go-to resources for art students. Scholarships for art students are funded by diverse educational benefactors, including government agencies and individual colleges and universities. Endowments from art-centric philanthropists provide educational financing for promising artists. Fine arts scholarships also originate in the corporate sector, from private entities committed to art education. The body of art students captures a diverse talent pool; from specialists who master certain mediums, to art educators who study at the master’s degree level. Wherever your artistic passions lead, there is financial assistance available to help you succeed. The National YoungArts Foundation provides over $500,000 worth of annual talent-based financial aid to high school & college students focused on performing, visual & literary arts. 2.) How much is awarded to each scholarship winner? Yes, for up to eight semesters – provided eligibility criteria are maintained. Those enrolled in Illinois State University Fine Arts programs. 3.) How much is awarded? 2.) How much is awarded? Up to $300 is awarded, to be used for tuition and fees. Walker scholarships provide college funding for creative students majoring in fabric, sculpture, or metals. The specialized awards are valued at $400 each, and go to the most qualified portfolio submissions. Art student majoring in Photography, Visual Communications, or Three-Dimensional Design are invited to apply for annual Amster awards. African American artists benefit from scholarships designed to elevate women of color within the art education community. Winners earn up to $500 each toward tuition and fees..
For expanded information about any of the the scholarships listed above, visit Illinois State University’s School of Art scholarship page. 1.) How much does the School of Art award per year? Scholarships and tuition waivers vary in amounts, but aid is available for undergraduates and graduate students. Undergraduate or graduate student pursuing a degree. Visit the University of Arizona scholarship resources page for current information about campus financial aid programs for art students. These scholarships are renewable for up to four years. 1.) How much is awarded? The Presidential Scholarship in the Arts is a valuable award for art students at Ball State. Up to $ 4,500.00 is awarded annually, for four years of college. For more information about these scholarships, visit Ball State’s art scholarship page. Graduate and undergraduate students are invited to apply for this award. Visit the University of Texas at San Antonio for more details. UWM puts forth a fine arts scholarship package worth more than $50,000 annually. Graduate and undergraduate students qualify for Fine Arts Scholarships in all creative disciplines. The portfolio review process evaluates incoming freshman who compete for Arts and Design awards. During subsequent years of enrollment, scholarship candidates are reviewed by way of the First Year Program, Junior Competition and Senior Competition. Graduate level students qualify for Chancellor’s Awards and other forms of fellowship support. For the most current information about Art and Design Scholarships at UWM, consult the Peck School of the Arts scholarship resources page.